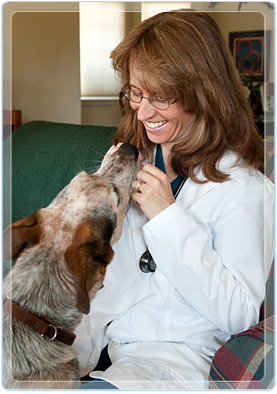 Regular dental care is an integral part of you pet's overall health. Clean teeth and a healthy mouth do more than just prevent “doggy-breath.” A regular dental care program prevents periodontal disease, which is a common infection that can lead to other more serious heath problems. While under anesthesia, Dr. Evans will perform a complete oral exam, looking for gum lesions or loose or abscessed teeth. We can surgically extract any diseased teeth if necessary and then we professionally scale and polish to leave your pet's mouth clean and healthy.